So I'm reading through my Jack Kirby "Silver Star" compilation, and who do I see making a guest appearance as a tripped-out drug punk but Howard Stern, famous shock jock? Here's the panel in question alongside a reference photo. 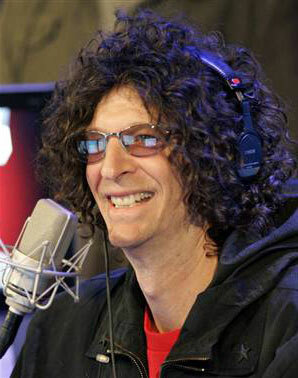 I bought a Sirius satellite radio just to hear Stern, so I'm definitely what you'd call a fan. But even I wasn't sure at first this character was based off of his appearance, until I saw him get the snot kicked out of him by the highly patriotic and upright Silver Star, which clenched it. I bet ol' Jack was trying to get in good with the Comics Code Authority and his publishers thought showing Howard getting smacked around would be the way to go. On the poll: Come on people how would Hulks powers help other then offensive. Firestorm can manipulate matter! Gotta agree with you there, DJ, I’d think either Firestorm or Dr. Strange would walk away with it. Both could call into existence items and helpers impossible for anyone else on the list. I’m always curious with those poll questions how people’s minds work. Clearly most are thinking “Survive”, which certainly there’d be nothing the Hulk couldn’t outfight, but then, what does he eat? When he turns into Banner, how does he defend himself, or get the physical work done needed to build a shelter? On the other hand you have your brainiacs like Batman and Reed Richards, who can think their way out of most any situation. They’d be great organizers and could build pretty much anything needed out of whatever was at hand. Xavier could use his mental powers to direct and control large groups, which would be handy — get others to do all the work and you’ve got it made. Wolverine obviously would be the ultimate survivor in that situation, able to outfight anything he runs into but also used to living off the land. But he wouldn’t really be able to dominate the environment the way a Richards, Firestorm, or Strange could. Wonder Woman wouldn’t be a bad choice, she’s basically Superman with breasts nowadays, but she never ranks very highly on any fan rankings and I always find that interesting. In many ways she’d be the top contender — I guarantee if Superman were on there he’d win hands down, and yet Wonder Woman barely shows a blip. I wonder if that’s an anti-woman sentiment, or just that she doesn’t have many fans. I think the main reason for Hulk having so many votes right is of course the movie and everyone being in a Hulk state of mind. I think the main reason for Wonder Woman not getting that many votes is that most of the users are probably male and wouldn’t think much about being a girl. Looks like the gave howard a nose job in the comic.